Which Payment Options Are Right for an Ecommerce Store? If you have been thinking about starting the ecommerce store of your dreams, then it might be worth it to consider how your clients are going to pay for your products. As online payments become more and more popular, having the ability to offer your clients various options can help your business to grow and succeed. If you are just starting out with your new company, this can be especially important. Here are some options that might work best for you when you are starting your first ecommerce business. 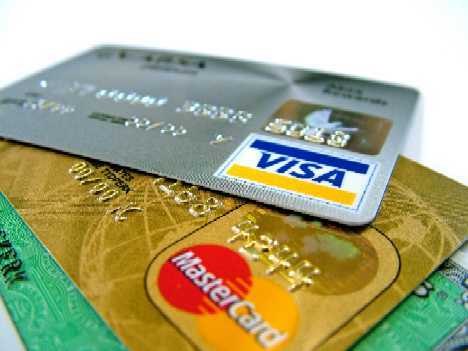 In the past, many people were hesitant about putting their credit card information into an online payment system. However, nowadays almost everyone makes payments online. With increased security, it can work better to insert credit card information. Merchant services can also help you start out your business and establish trust with potential clients. Many credit cards are now looking to work with online businesses as more and more people choose to purchase goods and services on the internet. For an extra level of security, working with online payment systems can be helpful, as well. Not only can it help clients to feel more secure, but it can also help you to usher in payments fast and easy. Like credit cards, online payment methods like Paypal allow you to have customer support and lower fees, which can end up benefitting you as a small business. It’s often a good idea to have both credit cards and online payment options available, since they can be used together or a potential customer might prefer to pay one way over the other. Unless you also plan on opening a physical location with your business, then cash probably won’t help you much with your ecommerce store. Part of the appeal of having a store online is the opportunity to use a more secure form of payment and by allowing yourself to reach clients from every corner of the world. Cash is not an acceptable form of payment for most online stores, so it can be difficult to run an online business without using a variety of payment methods online. Save cash for when your business expands and you open a physical location. While it is possible to pay through check or money order online, it might not be the most efficient way to do things. If you offer a product or service that is quite expensive, then some customers might like to have that or a wire transfer as an option. Overall, it’s usually better for businesses to have another form of payment available and to have clients choose that, but if there is a high demand for check, then it might be worth it to accept that too. Having a few payment options available can attract new clients and show them that you are willing to work together. You want your buyers to feel comfortable paying for your product or service while also feeling as though you care about their preferences. Online payment system has become very popular of late. People are no more apprehensive to put in their card information. One of the most popular payment gateway is PayPal. It is fast efficient and secure. With eCommerce sites on the rise, choosing the right payment solutions for your online customers can be a little confusing. We should try and give all the available options of payment to our customers to try and close each and every deal.